If you've been reading up on my last few posts, I've mentioned that I'm in the process of building up my fall wardrobe. And of course along with that, my beauty "wardrobe" is no different, I've been looking for the perfect look for this winter and I think I've finally found the right combination. Although I'm forever fascinated by trends, I'm not one to easily switch up my personal look despite what may be hot for the season because quite frankly, there isn't any fun wearing something that doesn't feel YOU. Through lots of magazine flipping and web hunting, I've settled on a variation of my personal style that's a little more updated for fall. I'd like to think of it as a softer version, a new fresh twist on a classic beauty look that is at once feminine and polished. It starts off with immaculate dewy skin (I have my eyes on the Yves Saint Laurent Le Teint Touche Eclat) that's approachable and luminous. Then a slighter fuller brow, nothing dark or sever, just a fuller shape (my DIOR brow pencil has been my favourite). Pair that with shades of rosy brown on the lids and delicate false lashes (Integrate has a gorgeous new palette I can't wait to try). 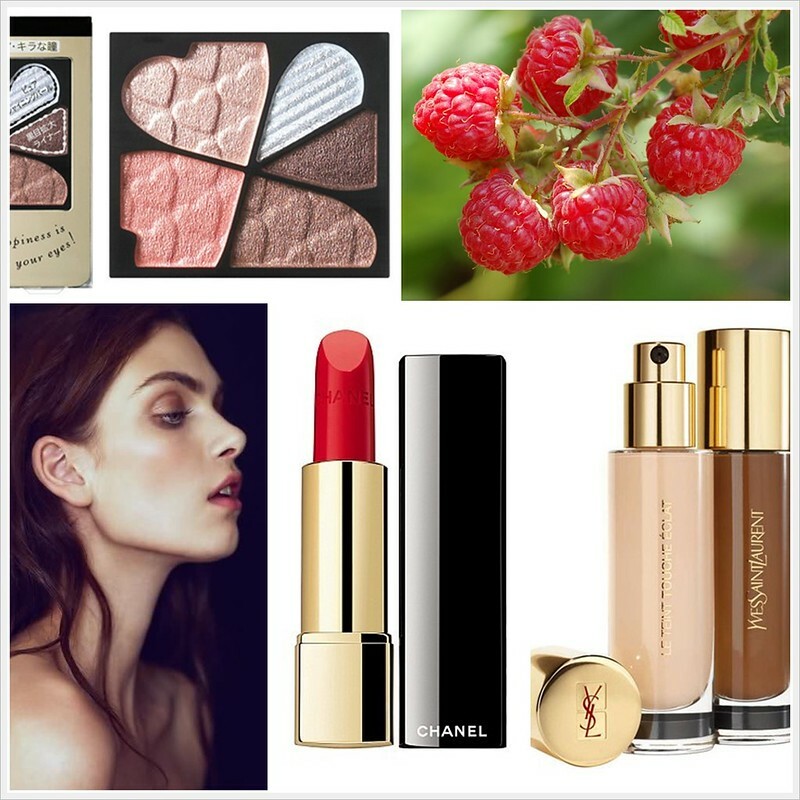 To bring the look together, a raspberry lip or something classic in red (Chanel anyone?). I think it will be just the perfect update to my signature look of smokey browns and pale pinks, a little more grown up but nothing too serious. This photo of model Shu Pei Qin at the DIOR RTW Spring 2012 show is pretty close to what I have in mind. Now that I've settled on the look, it's just a matter of hunting down all the perfect products. This model is gorgeous. Her skin looks absolutely flawless! Love this post, super informative. I'm always a fan of the dark berry lip trend for fall. I think it looks great on everyone!